PHUKET: The newly appointed Chief of the Patong Police, Col Tassanai Orarigadech, has vowed legal action over the deadly tour bus crash at the bottom of Patong Hill last night that killed one Thai woman and injured dozens more people, including Chinese tourists travelling on the bus. “This accident happened because the tour operator was selfish,” Col Tassanai told The Phuket News sister publication Khao Phuket this morning (June 30). 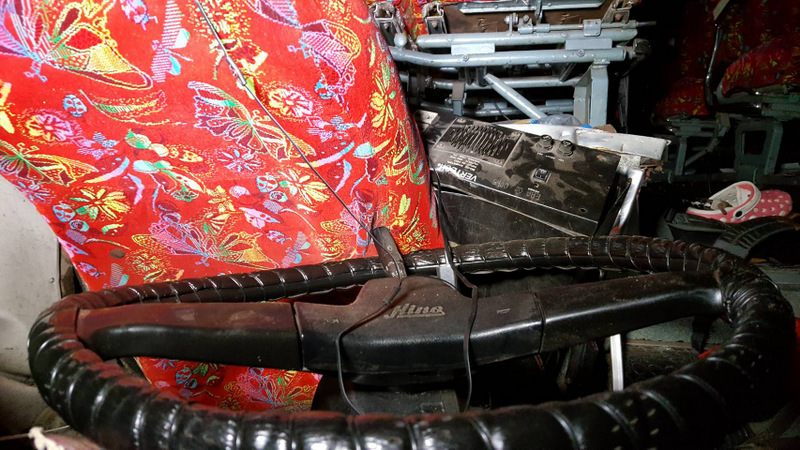 “The accident was because of a problem with the brakes. They did not check that the bus was safe to travel over the steep hills. They, both the bus driver and the tour company, must face the full force of the law,” he said. The Chinese tourists were on a tour organised by tour company Yongthai Travel, based in Rassada north of Phuket Town. 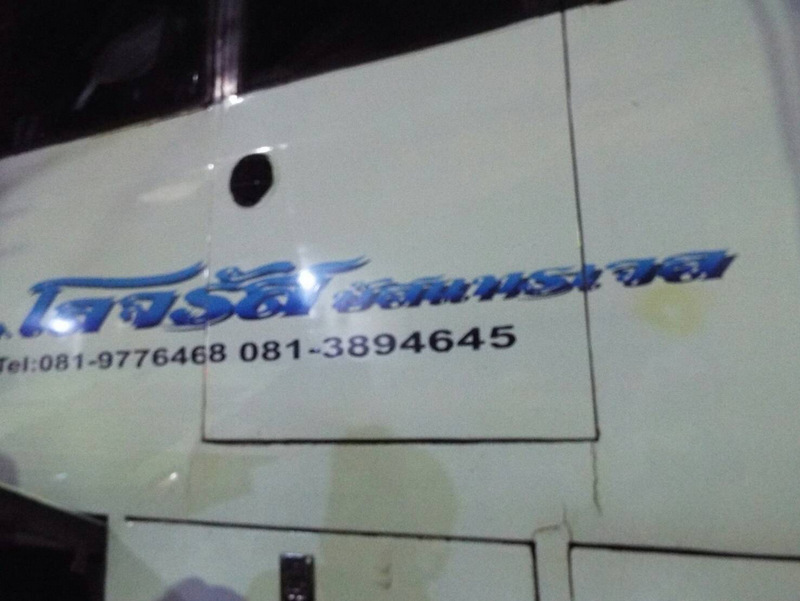 The bus, registered in Nakhon Rachasima, was operated by the Nakhon Rachasima-based transport operator Lojaras Bus Travel Limited Partnership. 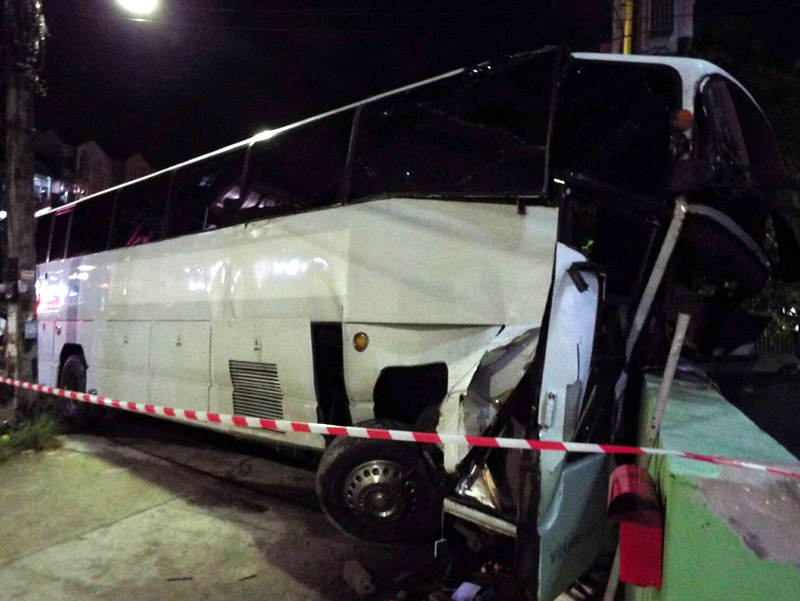 “When the bus arrived down the hill, the bus driver tried to brake,” Capt Ekachai Siri, a Deputy Inspector of the Phuket Tourist Police, told The Phuket News. “The vacuum on the brake booster failed. The driver lost control of the vehicle, and the bus collided with the motorbike,” he confirmed. 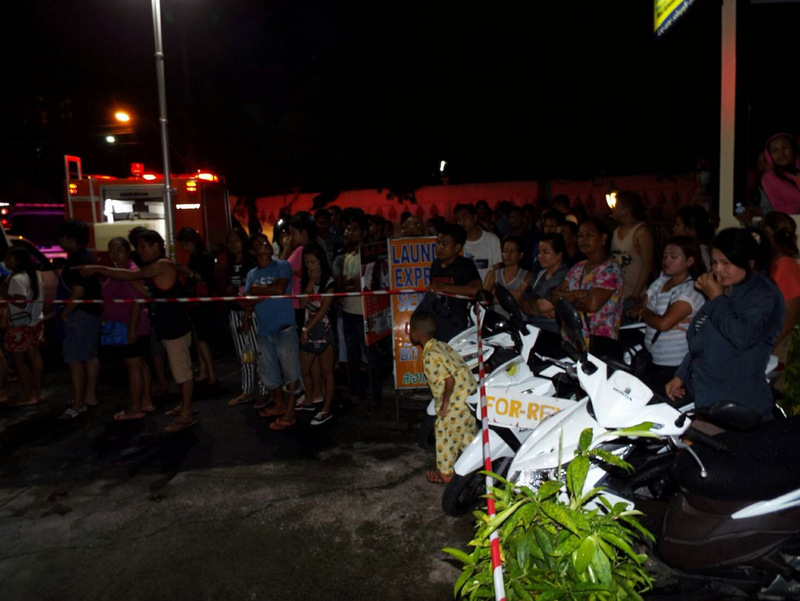 Patong Hospital last night named 25 people as received for treatment from the crash site. From the bus were the 22 Chinese passengers, including two 11-year-old girls, and two Thais. Among them was 40-year-old bus driver Wutthachai Srijan, who had to be cut free from the wreck by rescue workers using hydraulic cutters as he had been pinned behind the steering wheel. Mr Wutthachai suffered leg and internal injuries. 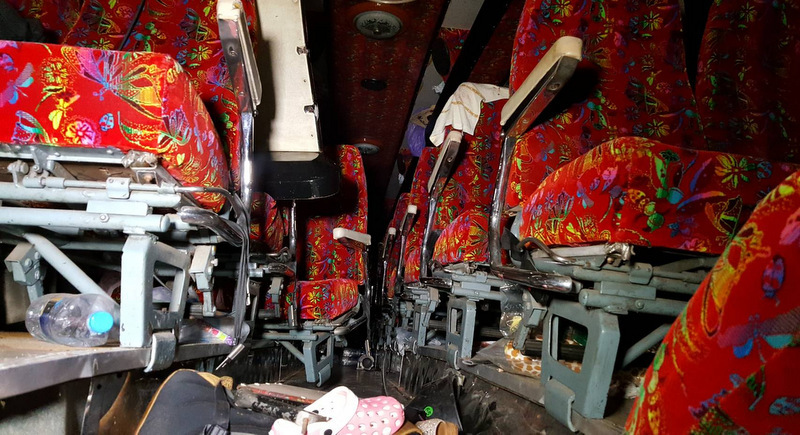 The other Thai national on the bus, 26-year-old Suraphong Cheewinmankhong, suffered only minor injuries, as did all the other people taken to the hospital. 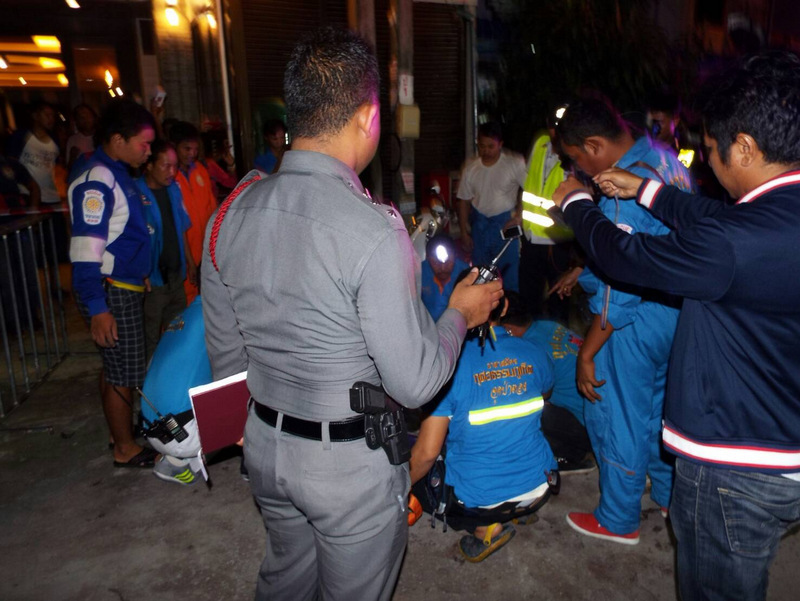 Police have identified the motorbike driver killed in the accident as Ratana Sukpisarn, 43, from Udon Thani. Her passenger on the motorbike, Chananya Silajan, 40, amazingly escaped with scratches on her right leg and left hand. However, the extent of her injuries have yet to be revealed.